Chino Rheem is a prime example of the type of player that the Epic Poker League needs to be a champion in their league. Going into the event, he had over $4.7 Million in career winnings, including winning the WPT Doyle Brunson Five Diamond Classic in 2008. In addition, Rheem made the November Nine of the 2008 WSOP Main Event where he finished in 7th place. At just 30 years of age, Rheem not only has the experience needed to be successful in the game but also has a style of play and personality that many of today’s younger players can identify with. He is not your atypical “TV pro” and has proven the ability to rise above and rise back from his shortcomings. His overall story should make for compelling TV and should actually help league to grow. Chino Rheem is not the type of player that the EPL needs to have represent them. First, he has a criminal past including convictions for larceny, stolen property, burglary, and drug possession. Of these things he claims that he is not ashamed of anything he has done and has no regrets. In addition, he is known around the poker world for borrowing money and not paying it back. In addition there are numerous reports out of how he has made deals or borrowed money and refused to pay money back. Yes, it is true that he paid some people back after his recent win, but it is also reported he only paid back 10% of what was owed to some of those people. 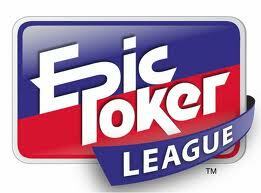 League’s like the Epic Poker League are trying to do what they can to improve the overall image of poker. Chino Rheem is a prime example of the dark side of poker that a league such as the EPL needs to avoid like the plague if they have any hope of being taken seriously by the overall poker community. Where do you stand on the issue? Do you think that Rheem is a good representative for the EPL? Regardless of where you stand on the issue, one thing that’s for certain is that this is a topic we are sure to hear more about in the future. This entry was posted on Tuesday, August 16th, 2011 at 9:48 am and is filed under Poker News. You can follow any responses to this entry through the RSS 2.0 feed. You can leave a response, or trackback from your own site.